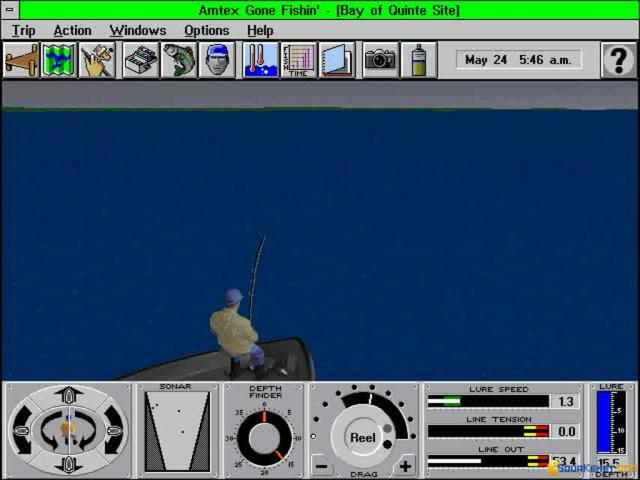 The relaxing hobby of fishing might seem a strange one to translate to the world of video games, but like the similar activity of hunting, the genre has proved surprisingly popular. However, while Gone Fishin' might be appealing for armchair fishers, it is unlikely to convert non-fans due to its slow pace and lack of visual flair. 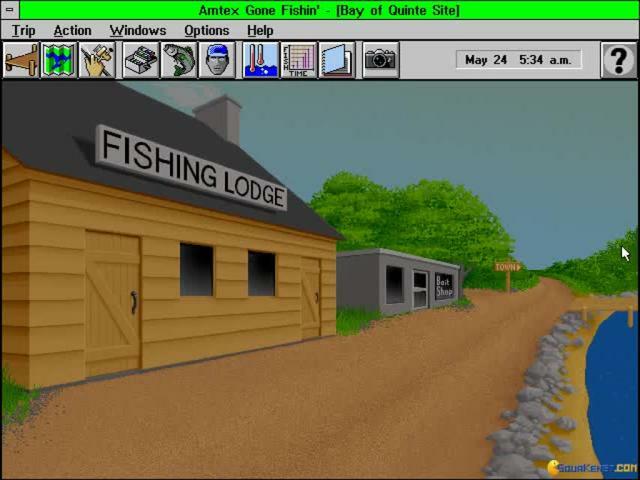 If you are interested though, this is a highly detailed and authentic game which captures the experience well. Taking the form of a fishing tournament, the game tasks players with purchasing equipment and gathering advice from the experts before heading out to the water for the real fun. 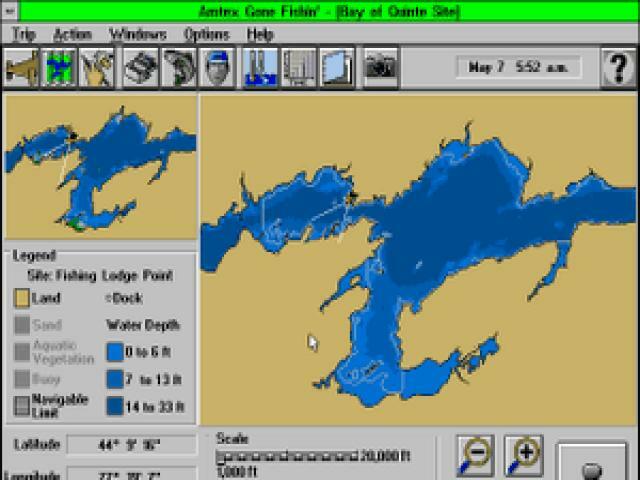 The simple goal of the tournament is to catch as many fish as possible and careful consideration must be given to wind direction, temperature, bait and other such factors if you are to emerge victorious. 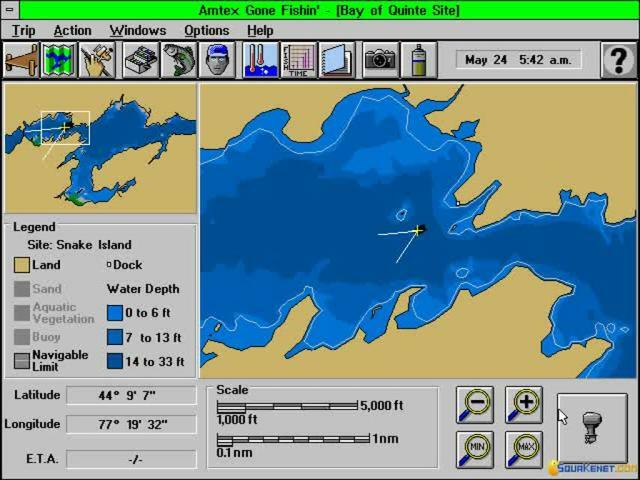 There is certainly no denying the authenticity and depth on display here, with plenty of equipment to choose from and fish to catch, but unless you are a total fishing addict, this will likely prove extremely tedious. Visually, the game lacks any appeal whatsoever, but worse still is the gameplay, dull and boring as it is. 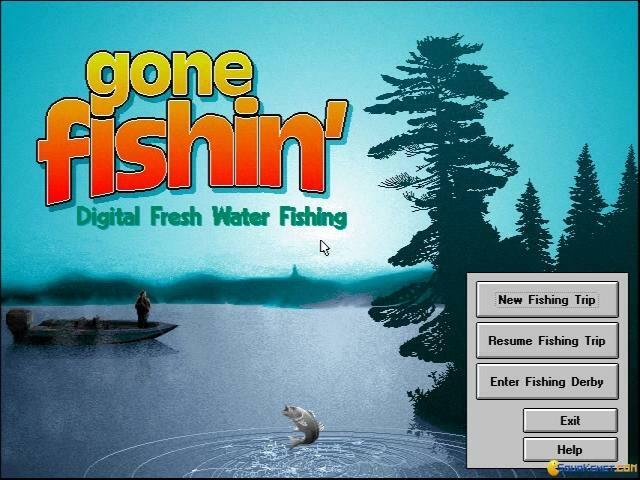 If you really must play a fishing game, try BassDuel, but Gone Fishin' is for diehard fans only. Gone Fishin' is one the most advanced fishing computer games ever released for the DOS operating system, developed by SimGraph and published by Amtex, the game is very close to the real life fishing experience. 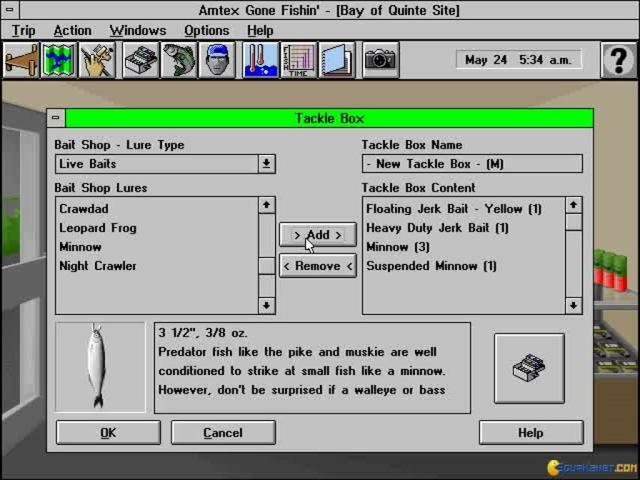 Set in the Bay of Quinte, the player enters a fishing tournament to prove that he is the best fisher. 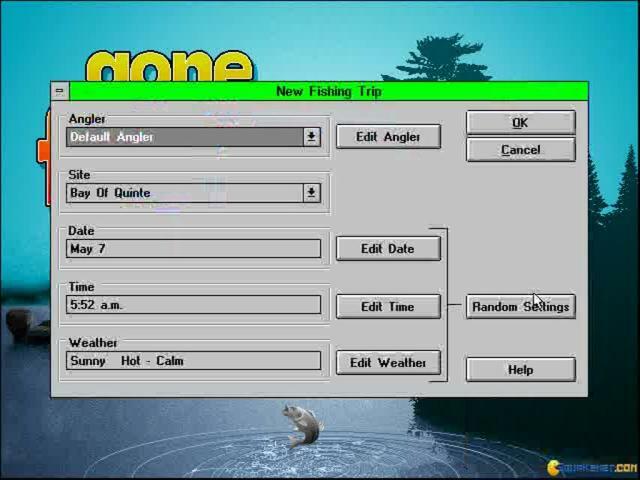 Before entering the game, the player can change some options in the game configurations menu and change settings like weather, temperature, wind and so on. After entering, you'll soon find out that you have no equipment and need to use to use the store in order to get ready. 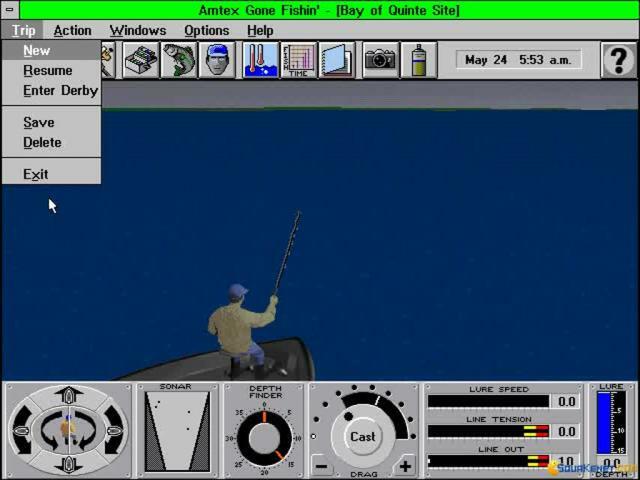 There are a lot of menu to play with in the game, so consulting the manual may be required, especially for the fishing part, for there is a lot of information being diplayed on the UI and you need to get familiarized with it fi you want to know what you are doing. Even though the gameplay is complex, once you get the hang of it, the game starts to become a little addicting, because it's so much fun.